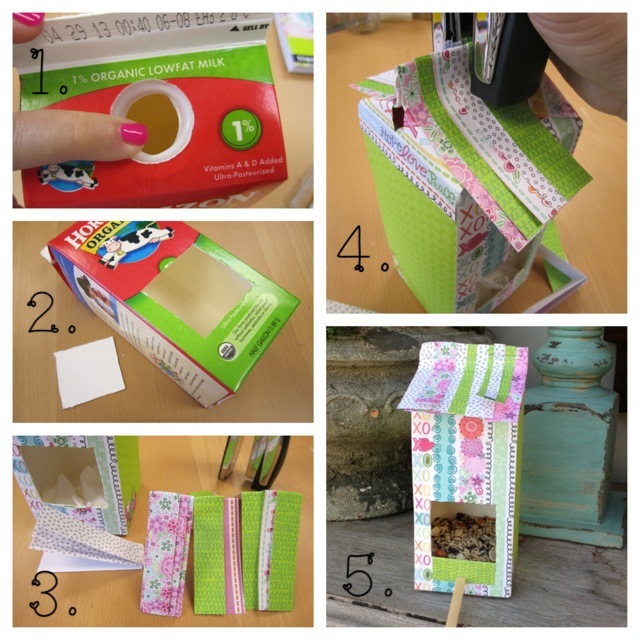 Make a cute bird feeder out of an old milk carton. It's cute, it's easy, and it's a great way to recycle! 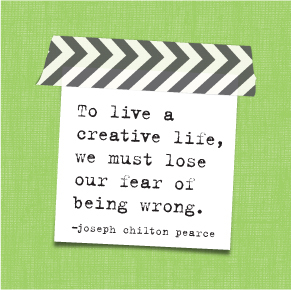 You can do it with the kids and use any patterns or designs you want. I only used basic supplies I already had laying around my house. A milk carton, adhesive, a popsicle stick, mambi paper pad, and a stapler. I do admit I had to go purchase the bird feed. See below, it's quick, simple and a great summer craft. 1. Many milk cartons now have twist cap spouts. In order to avoid it getting in the way I pushed it in, and it stayed. I was quite happy I didn't have to cut it out. 2. I then cut out a square for the birdseed. Next I covered it in paper. (I used a Xyron to adhere the paper but you can use another adhesive) I would highly suggest cutting the birdseed opening AFTER you cover the carton in paper. Finding where I had cut the hole after papering it was difficult. 3. Now that the milk carton was covered, it was ready for a roof. I cut 1" strips of paper and folded them in half. 4. After folding them in half, place them on top of your carton and simply staple them in place. Once they're stamped on, I cut the edge of the roof to the length I liked. 5. Add a popsicle and DONE! Oh, don't forget to add birdseed or you'll end up with just a bird house. I hope lots of little birds enjoy the feast awaiting them.